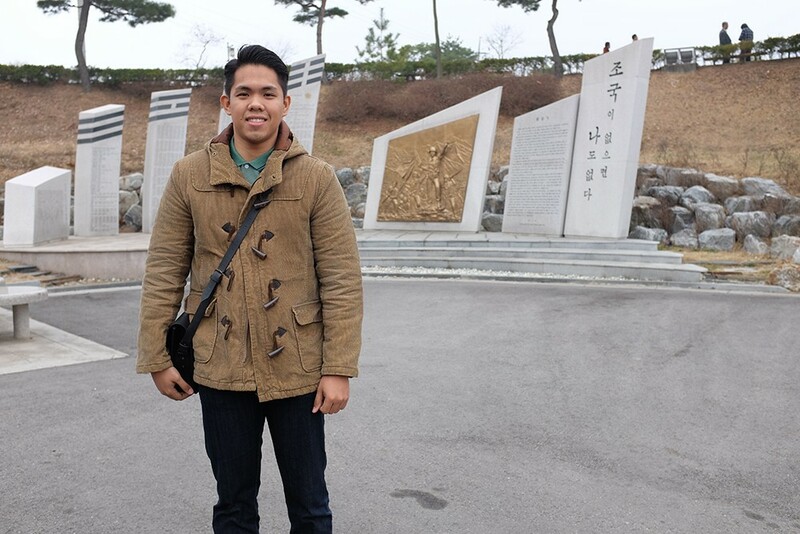 The Imjingak Park serves as a memorial site/park for all the victims as well as survivors of the Korean war. 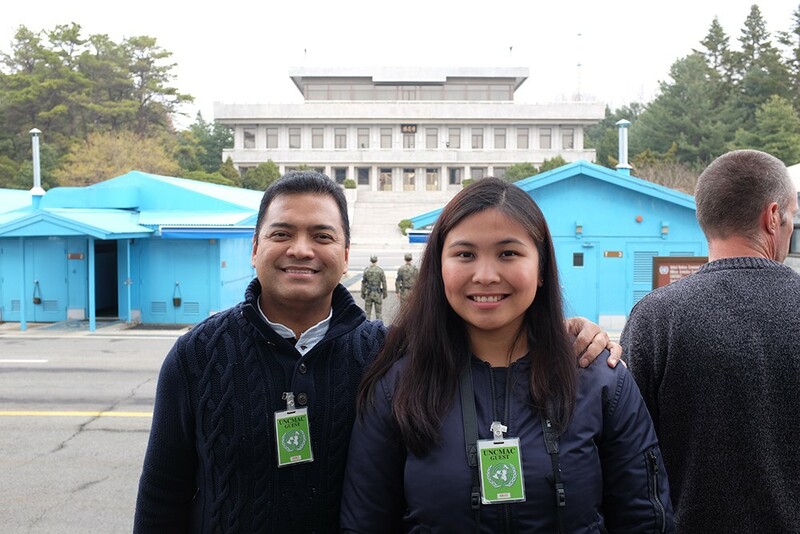 It was also our first stop for this tour as our guide had to get tickets for the DMZ. 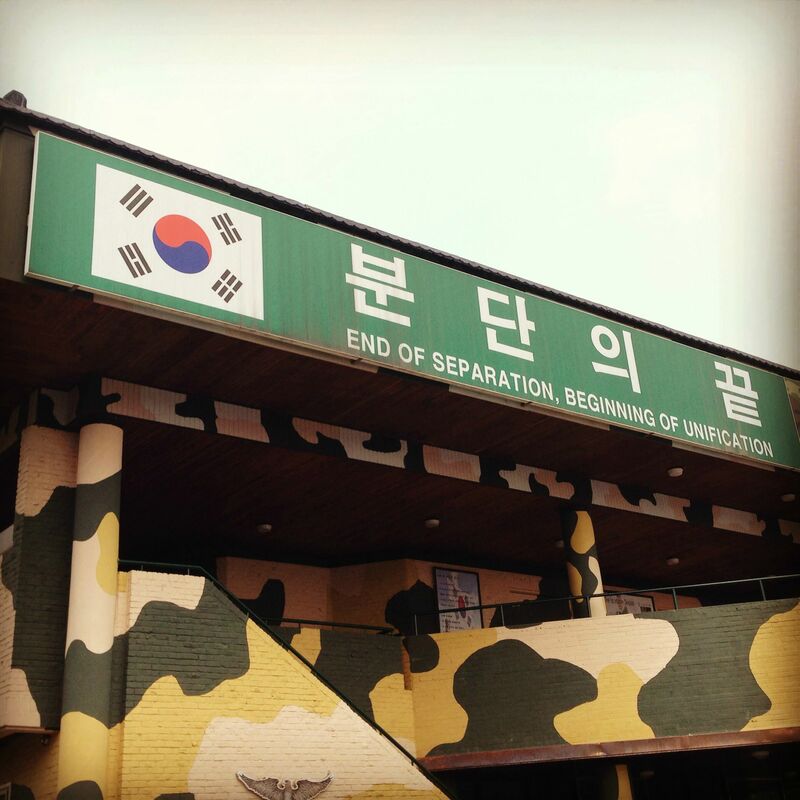 This is the DMZ Theater where you'll get an intro about the history of the ongoing war between North and South Korea. 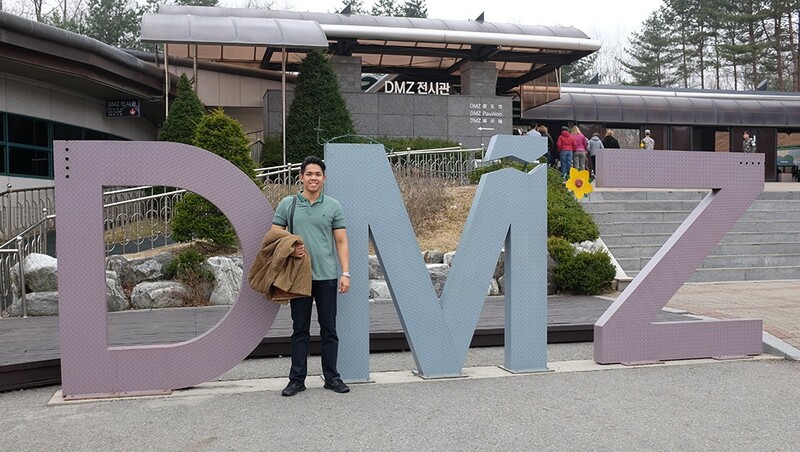 Facing the DMZ Theater is the Dora Observatory which serves as the entrance to the 3rd infiltration tunnel discovered by the South Koreans. 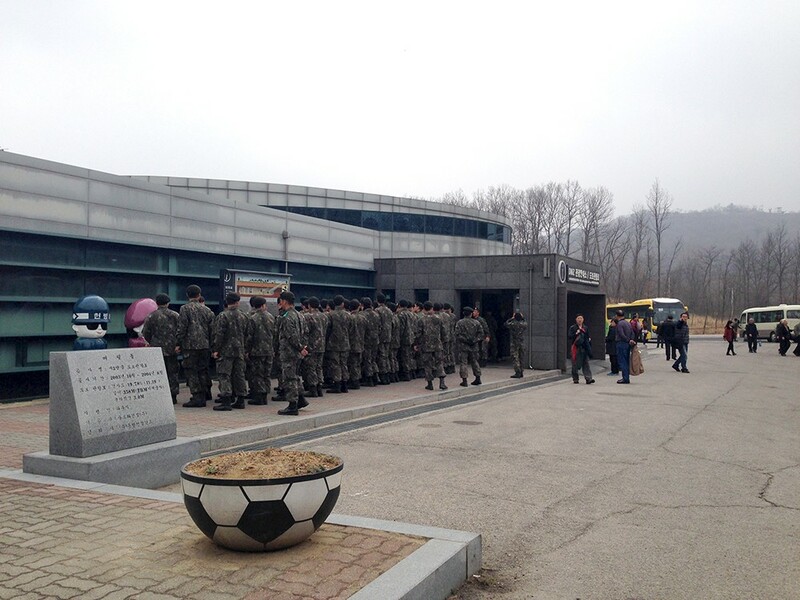 Spotted outside the observatory is a bunch of young South Korean guys training for military service. 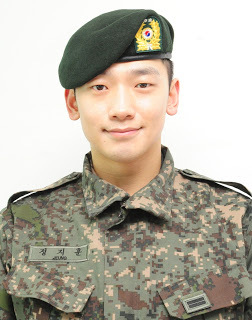 As you all know, male Koreans aged 18 years old and above are REQUIRED to go on military service for 21-24 months. Let's just say that it's like a rite of passage to their manhood. My cousin and I waited outside the observatory while Paolo and Isha go down the 3rd tunnel. FYI, you're not allowed to bring anything on your way down so I've compiled photos from those brave enough to sneak-in their phones and cameras and you may view them here. Next stop is the Dora Observation Platform. It was really hazy that day, there's no point of taking photos. P.S. I took this photo behind the yellow line. 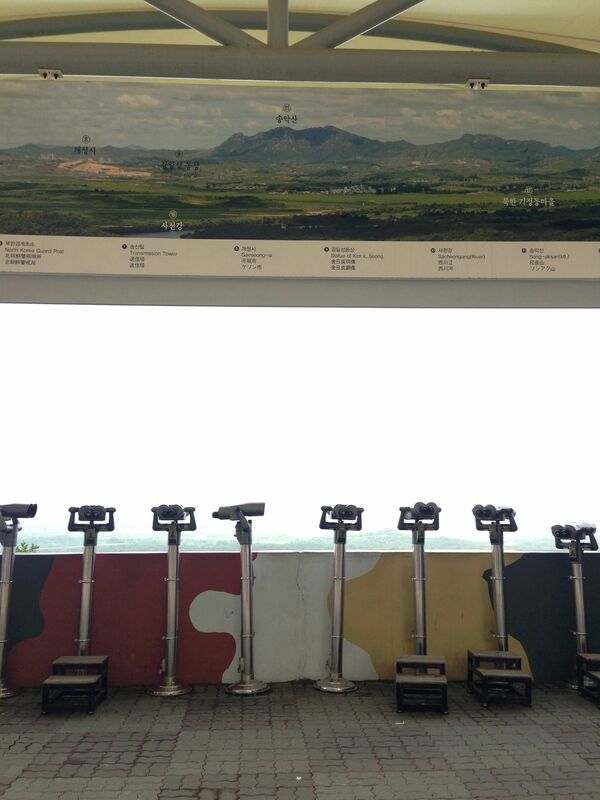 Do not dare to take photos near those tower viewers/binoculars. My aunt did (pasaway di ba?) 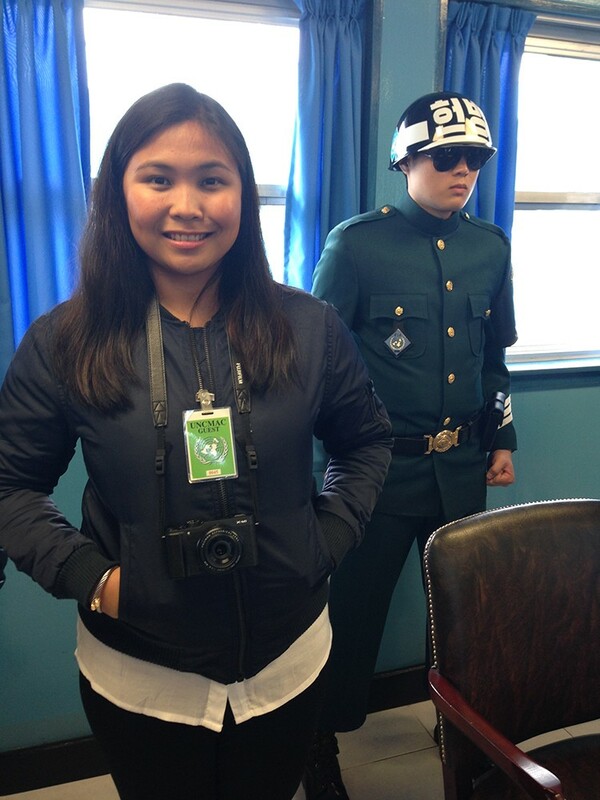 and one soldier approached her to delete the photos. Hehe. 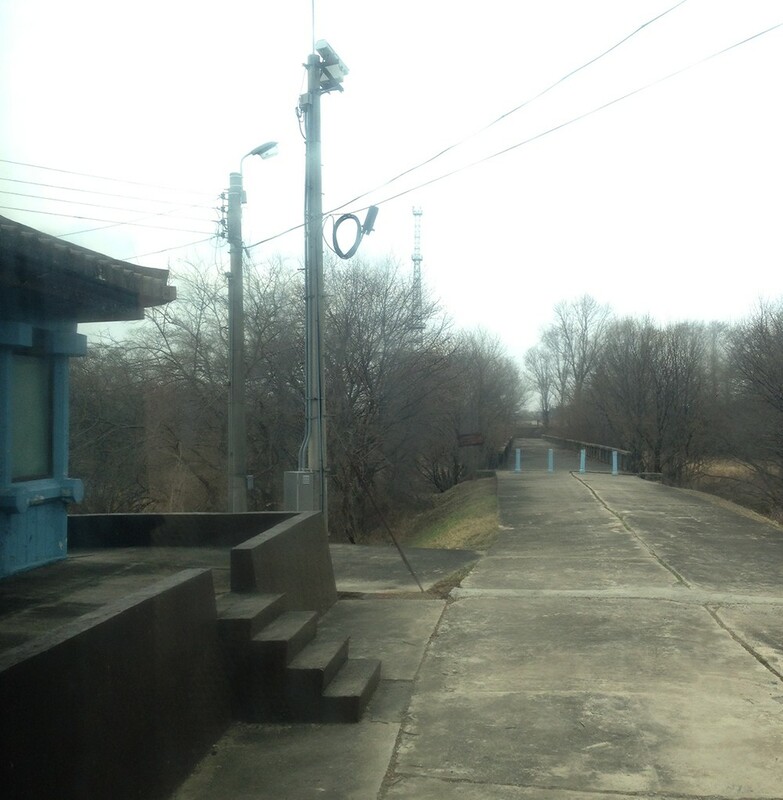 The last stop for the DMZ tour is the Dorason Station which is "Not the last station from the South. But first station toward the North." 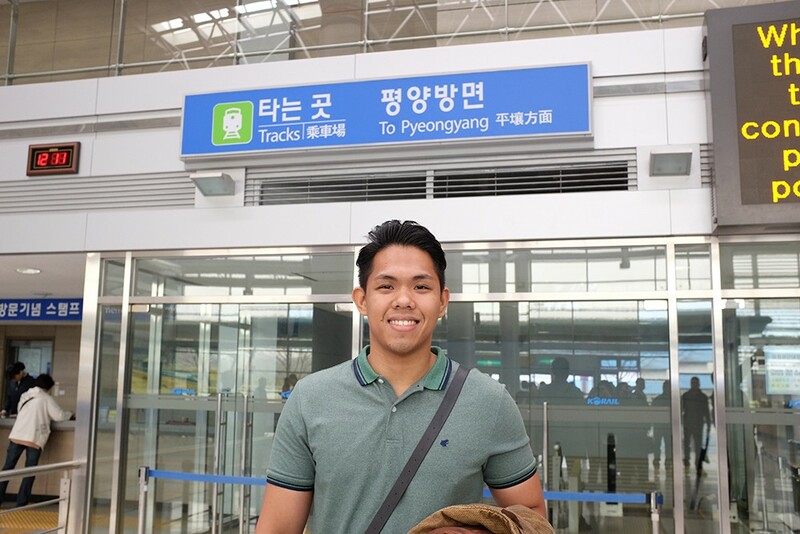 If only the war is over between the two Korean countries, for sure diretso na kami ni Paolo dun. Hahaha. 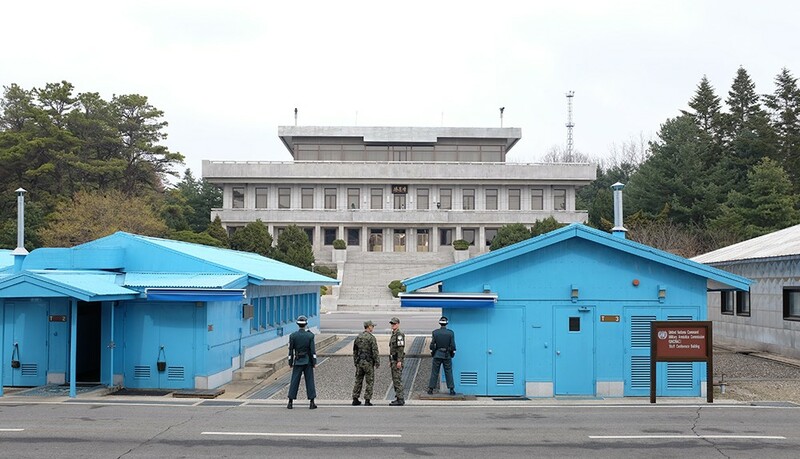 This is the Joint Security Area (JSA) of the Demilitarized Zone (DMZ) where South and North Korean forces stand face-to-face. It is used by both Koreas for diplomatic engagements and other military negotiations between North Korea and United Nations. 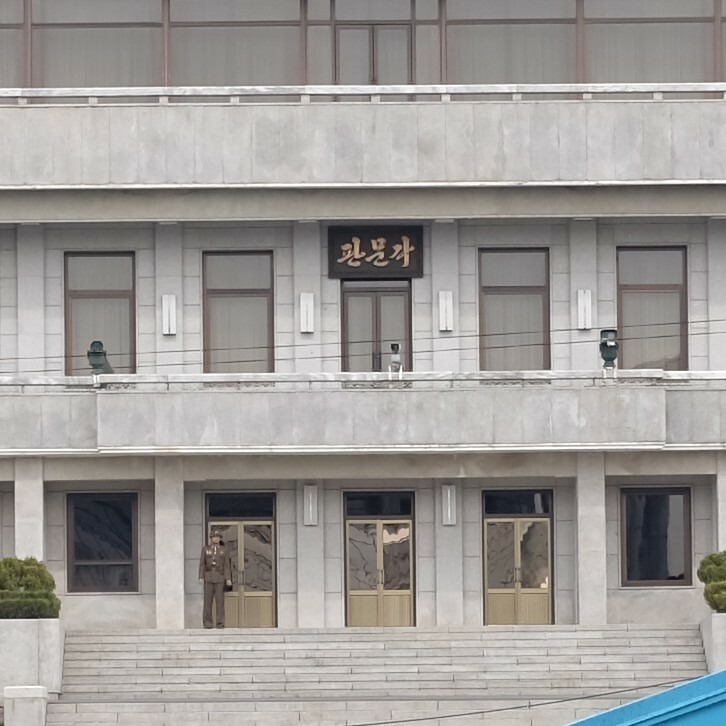 According to our guide, there are NoKor soldiers inside that building taking our photos. Sadly, we spotted only one solider outside with his binoculars. Siyempre picture picture naman kami ni Jay with that background. Wala na siya officially in our travel bucket list. Hahahaha. 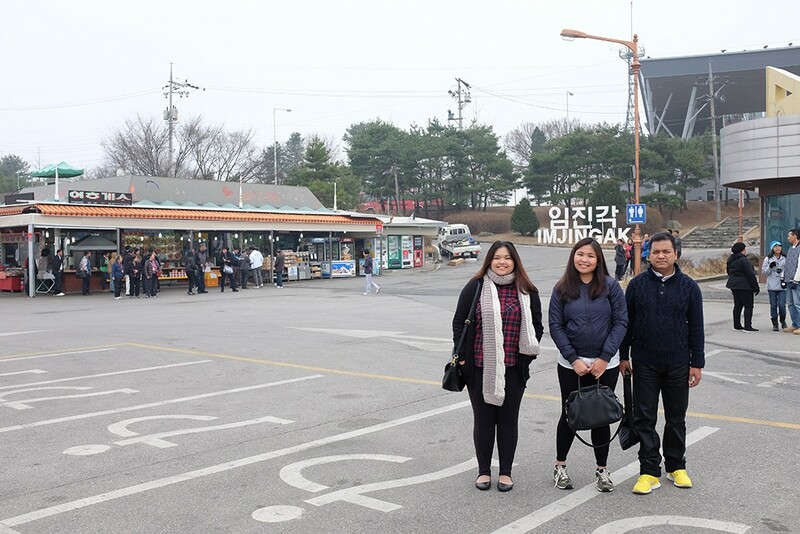 Hello kuya in gray sweatshirt, panira ka sa shot namin. Hihihi. Looks fun but to be honest, medyo intense ang feeling nung tour. There were a lot of rules: the guide tells us when or where we can take photos, we're not allowed to bring anything except for our passports, money and cameras, we're also not allowed to point at anything, wave or whatever forms of communication. To make the long story short, bawal ang pasaway sa tour na 'to. Anyway, the JSA stop took less than 10 minutes so super rush talaga, glad we had the chance to go inside. Actually, very A Walk To Remember ang feeling, we're in two places at once! Haha. 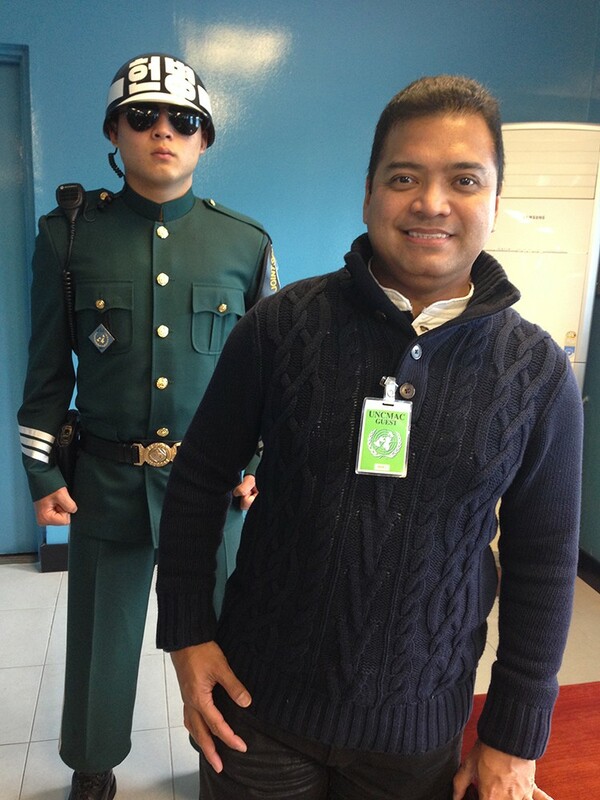 There are UN soldiers inside the JSA for safety of the tourists. They looked like mannequins, living dolls! Super kinis ng face! Yung totoo, ano ba skin regimen mo kuya??? 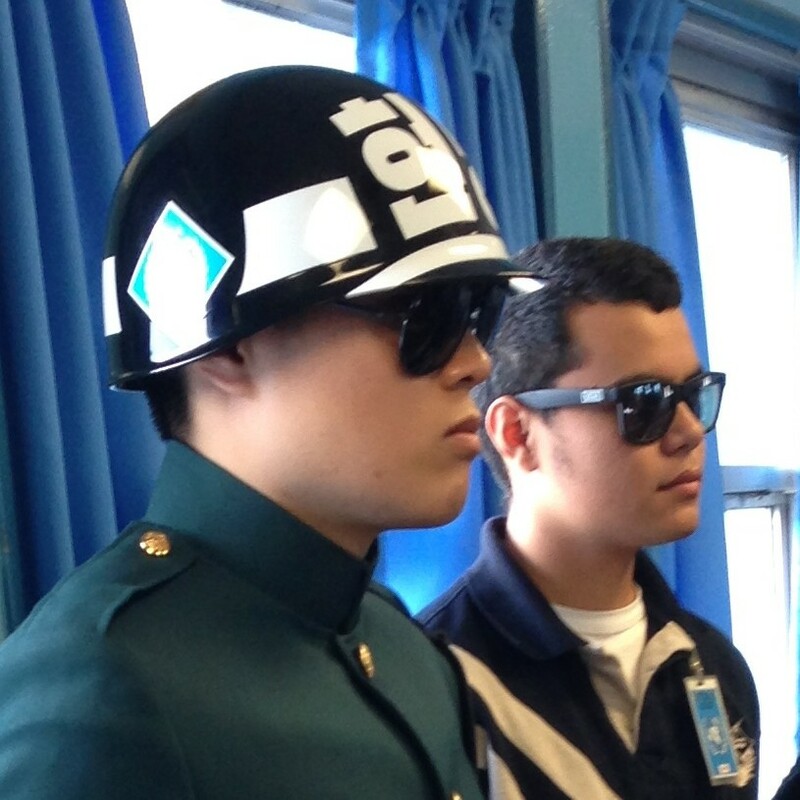 SoKor and UN Soldiers wear sunglasses to prevent any eye contact being misconstrued by NoKor soldiers as aggressive in nature. After the JSA, our bus passed by this area called the Bridge of No Return. 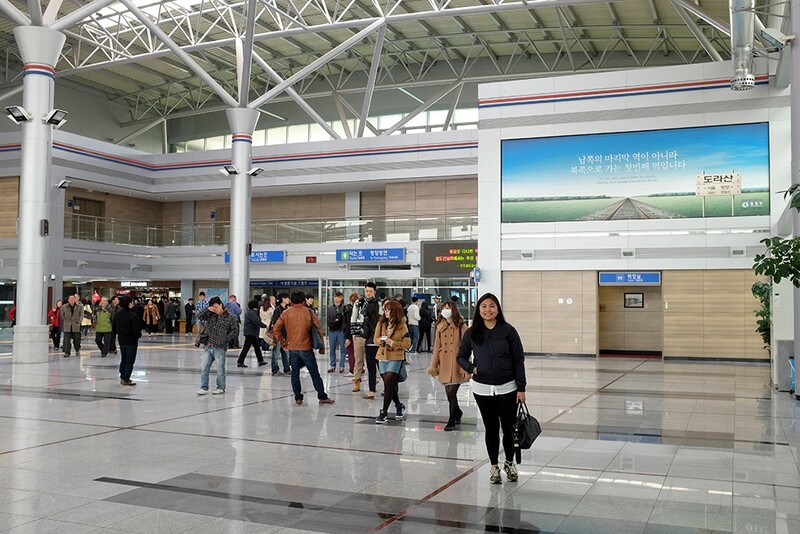 This is the entrance for those who want to go to North Korea and never come back. 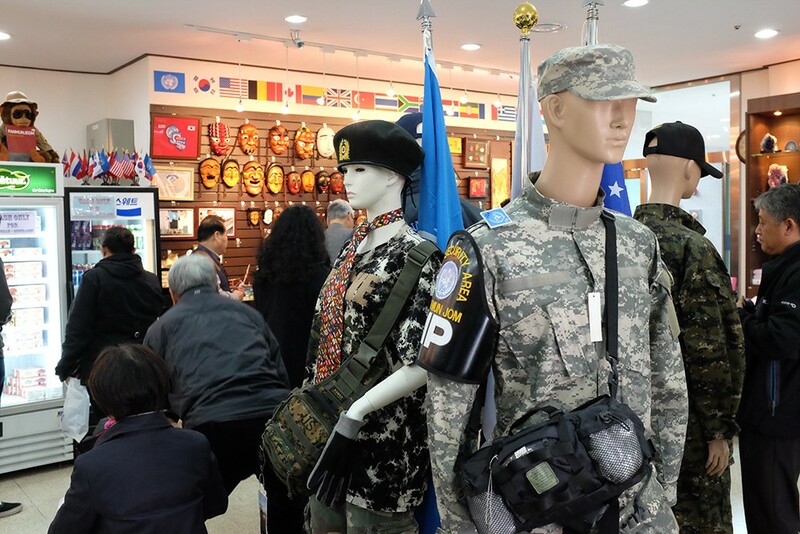 Last stop of the tour was the JSA Visitor Center where you can buy souvenirs from North Korea. 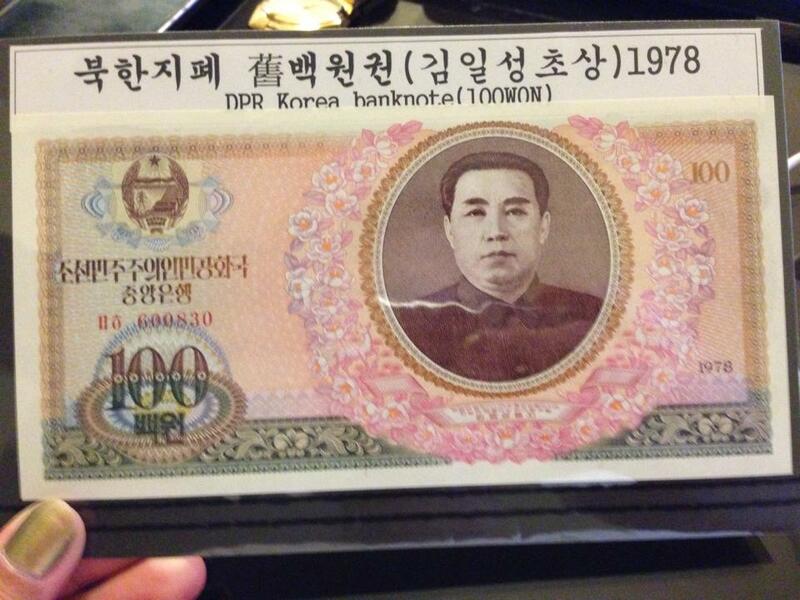 Apart from the usual travel magnets, we got this ₩100 North Korean bill for ₩2,500 as souvenir. Ang laki ha, kasinglaki siguro ng isang lapad (¥10,000).